Next Chelmer Valley date : 12th February 2017! The successful launch of the Driving Instructors Club Essex (DICE) initial Young Drivers Scheme in October 2005 was the catalyst for the second scheme which had its inaugural session in February 2003. The first scheme was a collaborative effort between the Chelmsford and District Group of Advanced Motorists (IAM); Essex police; and Essex County Council. At its inception there were 12 ADIs from DICE and 16 pupils. Since October 2005 this has grown to 44 ADIs and a monthly attendance of around 240 pupils. Lessons are conducted on the 3rd Sunday of each month and each pupil has a 1 hour practical driving session with a qualified ADI from DICE in dual controlled cars. A safe environment to use was negotiated with the owner of a private business park and he sees to it that the roads are closed to the public during the relevant Sundays. Essex County Council certainly appreciate this and were very proactive in helping DICE to set up our second scheme in Chelmsford. 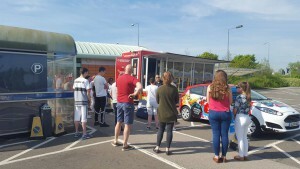 They provided the venue – a huge park and ride car park that is closed to the public on Sundays – and they also provide a mobile classroom manned by their road safety officers during the day. Lessons are conducted on the 2nd Sunday of each month and the format is slightly different to the original YDS in so far as the first 15 minutes of each pupil’s lesson is spent learning about road safety issues in the classroom and then they have 45 minutes of practical driving by DICE ADI’s in dual controlled cars. Whilst the pupils are having their practical driving lesson their parents are encouraged to attend the same classroom session as their son or daughter has just had and many emerge surprised at what they’ve learnt! Some of the topics dealt with include mobile phone abuse; drink and drug driving; proper use of seat belts; and the effects of speeding. Each month the road safety officer presents a different subject. (Click here for more details of our second scheme (Chelmer Valley Park & Ride) including how to join). The fact that the first YDS is entering its 10th year of continuous successful running proves that there is a demand and a use for such a facility. January 2014 saw the 2585th pupil attend the Sunday session. The second YDS has been operating for a couple of years and each month sees more pupils attending and the target is to reach 90 pupils per YDS Sunday. Once pupils have reached the legal age for driving on the public roads they tend to stay with their same YDS instructor if possible and anecdotal evidence suggest that these pupils take their driving test sooner and are more likely to pass their test first time. That is not too surprising given that they, and their parents, must be well motivated to give up part of their Sunday each month. The support from parents and the good attitude from the learner is a recipe for a safe driver. The emphasis throughout is on road safety and attitude education. 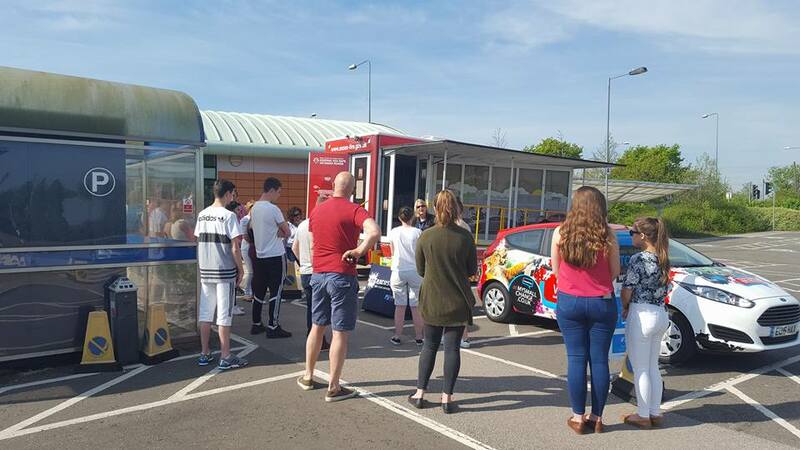 Getting 15 and 16 year olds to learn car control skills in a safe environment and teaching them how to be safe drivers before they actually go out on the public highways is what the Young Drivers Scheme is all about. DRIVING INSTRUCTORS CLUB ESSEX (DICE) | Powered by Mantra & WordPress.